Theme parks like to drop you from great heights, so that your heart ends up in your throat. 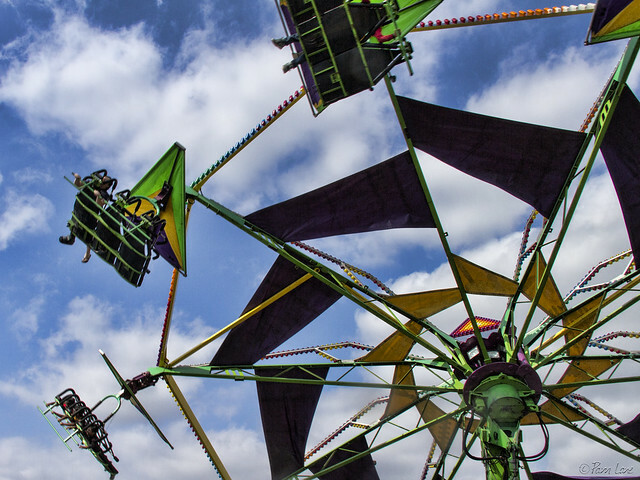 Carnivals, on the other hand, seem to delight in turning you upside down, so that your heart ends up in your stomach—if you're lucky. And when they're not turning you upside down, they're flinging you around in circles until you can't walk straight. 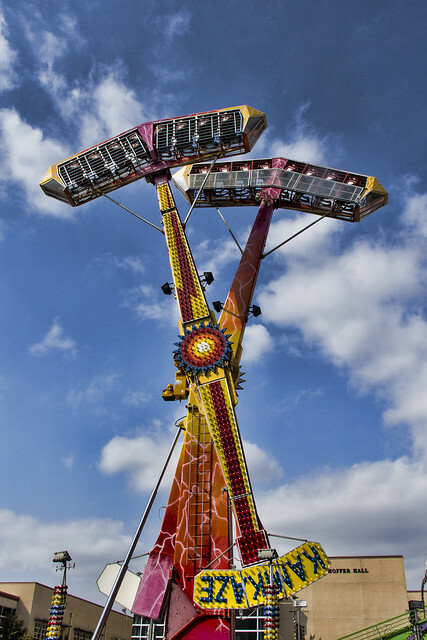 This carnival is an annual event at Downey High School, and this year, the rides are crazier than ever. The camera provides a great excuse to avoid any unpleasantness. 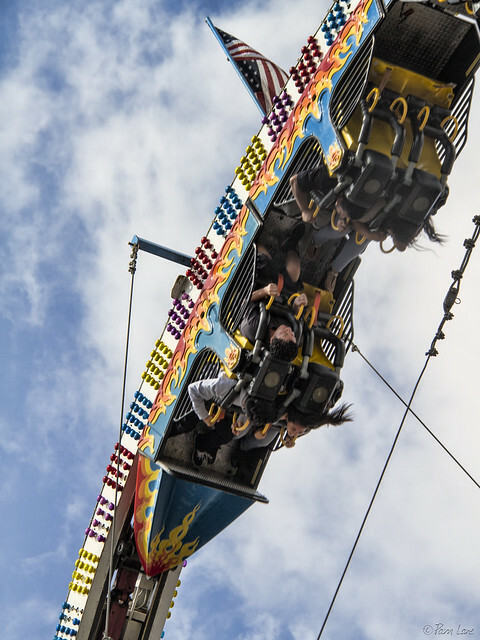 "I have to stay on the ground, to take your picture," I tell my daughter, who is pictured in two of these three rides.